Each day I try to do a little bit - and sometimes it is a really little bit, like two minutes - of work in one of the gardens. Mostly clearing away leaf litter very carefully, to release whatever is growing beneath or through it. Also, removing goutweed, rubus, bittersweet, and more goutweed. It is so exciting to see some of the perennials I introduced in the past few years coming back to join the hardy natives that have been here longer than I have! Not all the additions survive, I'm sorry to say. But this year I am noticing multiple shoots of perennials that were planted two years ago but which struggled last year. Maybe the toughest thing for a transplant is getting through that first complete cycle? What do you think? Opinions welcome! 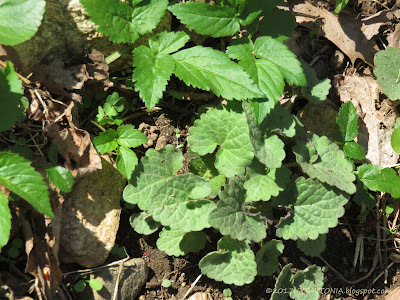 Already there is so much hyssop coming up - far more than last year - that I have given several young plants away. The bee balm is sprouting as well, but more slowly. Fingers crossed both colors - the red and the magenta/pink - come back, as they complemented each other so well. 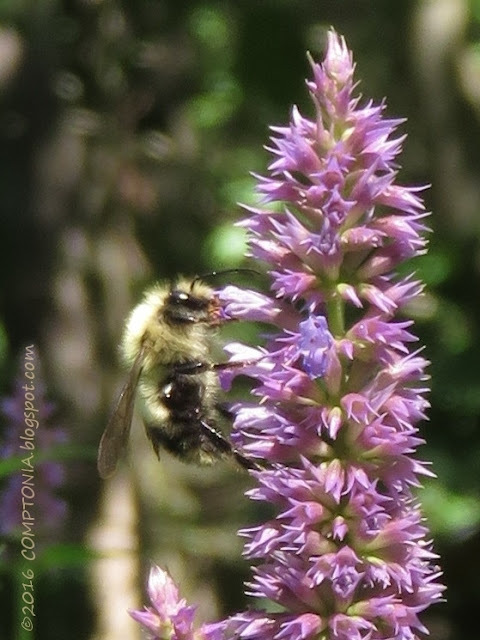 I'm hoping for another big year for bees, butterflies, and hummingbirds, as last summer it certainly made the daily round of chores more fun. Some readers may remember when I moved a section of fence behind the goat barn back in 2015, to widen the pathway to the other paddocks and just give the goats a tiny bit more room. (By the way, that link might be worth a click, just to see Tansy and Fern as babies and Tsuga as a lovely young mum.) 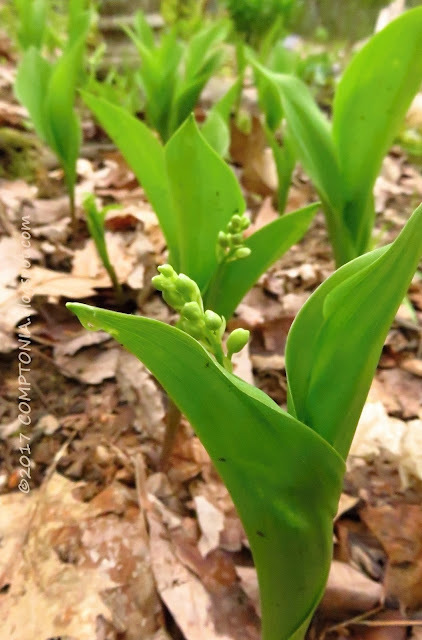 I rescued a few lilies of the valley from the new browse area before the goats could trample them, and moved them to the edge of a perennial bed near the porch. I love lilies of the valley, and treasure the small number that bloom in one spot on the north side of my house each year. Last year a few transplants appeared, looking quite frail. But this year - the second year since the transplant - some are preparing to bloom! I hope this means they will continue to grow and thrive in their new spot. I hope you are getting enough green in your world-view.